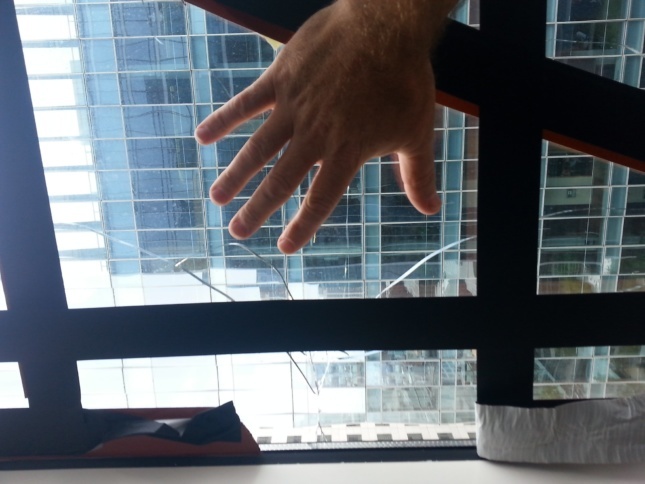 The saga of San Francisco’s slipping Millennium Tower continues, as a window on the 36th floor of the Handel Architects–designed residential tower cracked over Labor Day weekend. 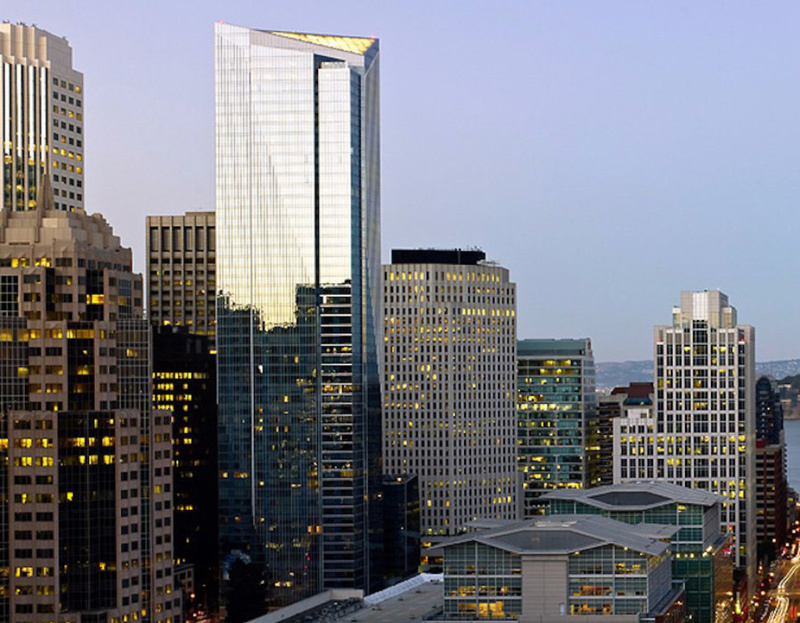 Engineers were dispatched by building management to examine the crack from the exterior but in a streak of continuing bad luck, the drone lost its GPS connection, careened into the neighboring Salesforce Tower, and crashed to the ground. If building managers are unable to determine why the glass cracked by the end of this week, San Francisco’s Department of Building Inspection has threatened to “yellow tag” the tower, restricting access until the area is proven safe. The 58-story, 645-foot-tall tower has already tilted 18 inches west towards Mission Street since its completion in 2009, which has unleashed a string of problems for residents and the building’s owners. Condo owners have written off their units as having zero value, cracks have appeared in the basement, tenants have reported awful smells in their units, and the building’s movement may have created a fire safety hazard by causing a void to form between the building’s structure and curtain wall. The problem is that the 60-to-90-foot-long friction piles underpinning the building were driven into sandy soils rather than bedrock at 200 feet down. While no concrete explanation has been given for continued sinkage, developer Millennium Partners has blamed construction of the neighboring Salesforce Tower for pumping out too much groundwater and causing the soil to settle. While the engineering firm Allana Buick & Bers collects more information on whether the crack was an isolated incident or a symptom of the tower’s 18-inch tilt, a new, cheaper alternative has been proposed to halt up the building’s continued slippage. It’s expected that the tower will sink another inch per year if nothing is done, but engineer Ron Hamburger, hired by Millennium Partners, recently proposed an expedited fix. As NBC Bay Area reports, the $400-to-500 million cost to drill 150 new piles through the building’s foundation has caused a massive legal fight between the tower’s homeowners’ association and developers. Hamburger’s solution to install 52 piles–26 on either side of the corner of the block at Mission Street and Fremont–would stop the building from tilting further and would only cost $80 million. However, as NBC notes, the tower’s seismic performance may have already been compromised by its movement and propping up the worst-affected area might not stop the building from sinking or leaning elsewhere. No solution has been accepted by all of the parties involved in the legal battle as of yet, but AN will follow up if plans to stabilize the building move forward. More information on why the window broke should be forthcoming; the Department Of Building Inspection has ordered Millennium management to fix the window-washing rig on the roof to allow in-person inspection of the window by 3:00 p.m. this Friday. Engineers must also conduct a survey of all of the tower’s windows, other units, and potential damage to the facade by Friday afternoon, and install an overhead safety barrier to prevent debris from falling on the sidewalk by later today if they wish to avoid having the building yellow tagged. A full forensic report is expected to be submitted to the city as well.